Def Leppard is playing in Vancouver tonight, but I’m not going. I just saw them two years ago, and I’ve been seeing them steadily since 1983. I’m taking the night off. 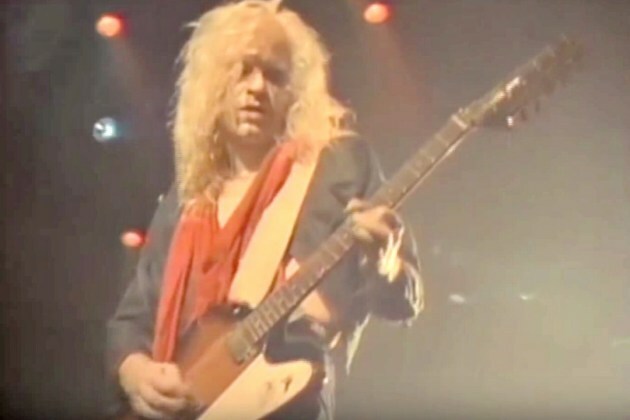 But what I am gonna do is post a previously unheard audio excerpt from my 1988 interview with Steve Clark, who’s sweet guitar playing had a lot to do with the band’s massive success. At one point in the conversation I mentioned a quote from Leppard bassist Rick Savage in which he called Pyromania a “blueprint” for future bands, then asked Clark for his take on that.